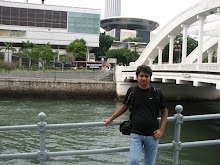 As you can easily guess from my blog name, I come from a C-coding experience on various embedded systems. Recently, I am exploring few web technologies and related embedded devices such as handhelds and platform for them. Apart from software development, I enjoy configuring, installing and tuning the sound systems – especially car audio and patiently waiting for my friends to say, ‘Hmm… Sounds good’. This is my first post into this tech journal. I intend to blog my experiences working on embedded systems and other system software stuff. Well, I wouldn’t keep the other interesting technical stuff that I encounter, aside. Please feel free to write to me in case you liked the content. And more importantly don’t hesitate to leave me a comment incase you think any of my findings are wrong or you know a way to do it differently and possibly better.